O2 has kicked off its pay as you go deals for 4G today, just after EE rolled out its own 4G PAYG offers. The fun kicks off at £15 for which you'll get 75 of nattering time, 500 texts and 500MB of data. But get this - after three months that will double, giving you 150 minutes, 1000 texts and 1GB of data. TechRadar - doing the maths for you. THEN, if you stay on the plan for six months, the texts will ramp up to unlimited. 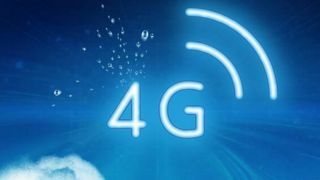 Of course, you'll need to be in Manchester (as of today), Glasgow, Liverpool, London, Leeds, Bradford, Birmingham, Coventry, Leicester, Nottingham or Sheffield to take advantage of O2's 4G, while we're told that Newcastle and Edinburgh are getting coverage before the end of the year. "Do I have your loyalty?" Ok, so what about the bolt-ons? Well for £10 you can add an extra 1GB of data, or you can opt for 500MB at £6 or 100MB at £3. As for other perks, pay as you go customers get eight free weeks of O2 tracks, and will get to hear Lady Gags's new album Artpop before the rest of the UK. Find out which network is in the lead in our 4G test.